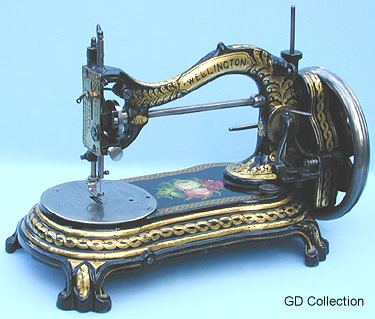 Antique sewing machine - Bradbury Wellington. The first of Bradbury's hand machines to bear the marque "Wellington". These serpentine form domestics incorporated a reciprocating shuttle.